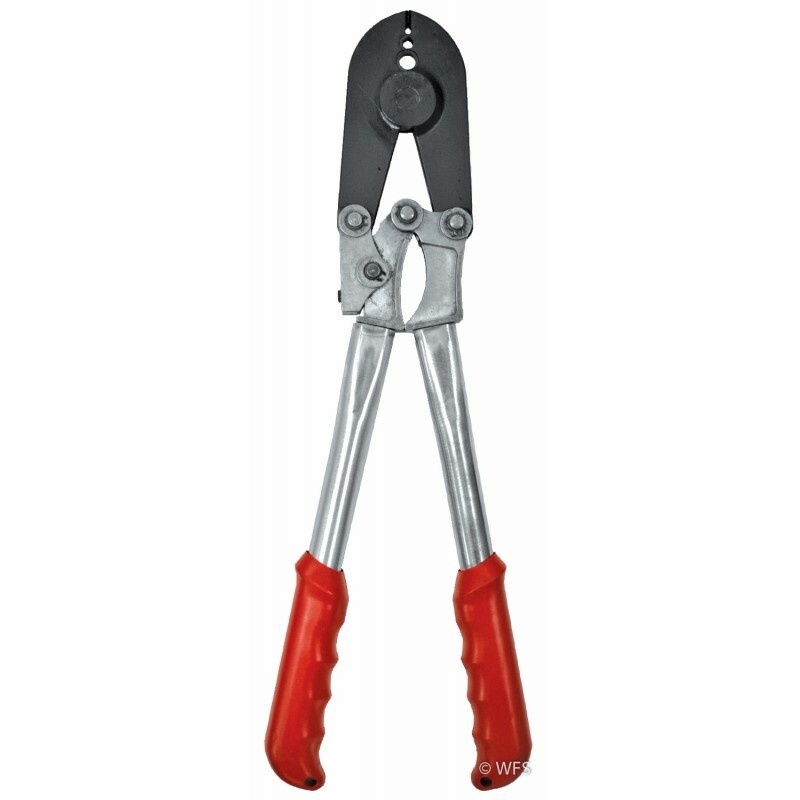 This economical two slot crimping tool is a great alternative to our popular New Zealand made Multi Tool crimper. This economical two slot crimping tool is a great alternative to our popular New Zealand made Multi Tool crimper. An excellent choice for the small fencing jobs - it cuts; strips coated wire; and crimps 2-3 sleeves, 4-5 sleeves and 3-4 taps. 21.5 x 2 x 7.75 "